Recovery from the Great Recession has resuscitated the entrepreneurial spirit in the United States. Large companies that were impacted by the recession are functioning with a very cautious approach as they define their recovery, growth and market share. So as we talk about how the recovery is being measured, we must look at what is going on with Small, Medium Enterprises (SME). To appreciate the contribution of SMEs to the United States economy we have to look at what SMEs were doing during the Great Recession and the current recovery. Approximately 500K new small businesses are added monthly. Considering the economic contributions made by SMEs should they not hold a place within the theory of “too big to fail”? The Great Recession according to the U.S. National Bureau of Economic Research[ii] began in December 2007 and ended in June 2009. The recession was related to the U.S. Financial crisis of 2007–08 and the subprime mortgage crisis 2007-09 extended over a 19 month period. The impact of the Great Recession continues to have a negative impact on the U.S. economy (2015). The Great Recession resulted in the loss of over 8 million jobs during calendar years 2008 and 2009 as reported by the Bureau of Labor Statistics[iii], with continued job losses through 2013/2014. The financial damage caused by the failure or potential failure of the U.S. large banks/corporations/businesses led to a government bail-out package by the American tax payer totaling $700 billion dollars of which $ 85 billion was used to revive Fannie Mae and Freddie Max. [iv] The bail-out was supported by the “too big to fail” theory. The theory asserts that certain corporations and particular financial institutions are so large, so interconnected, that their failure would be disastrous to the greater economic system. Therefore, they must be supported by government when facing potential failure. So how do SMEs with the right product and/or service survive failure? If the reasons for failure noted are correct, then what do SMEs need to do to avoid failing in the areas most frequently described as the problem leading to their demise? The help must be defined in terms of who can help – private or public sectors or both? – and the application of the help. SMEs need to have access to advisors that understand the complexities of running a company with the knowledge to direct the interdisciplinary functionality required. Government programs at the federal and state levels must be developed to give SMEs a similar scaled leveled of support given to larger companies. Banks must create lending products directed to support SMEs; funding and lending basis should be focused on markets targeted, strategies to capture market share, and intellectual capital and property as opposed to heavily or specifically focused on a company size metrics. SME’s must have an equal chance of working with banks as banks afford to large companies. SMEs are a proven pillar of the United States economy, yesterday, today and tomorrow. They generate the innovation advancements which have always been a hall mark for the United States economy. They will get the United States back to being the creative innovative contributors the world needs. 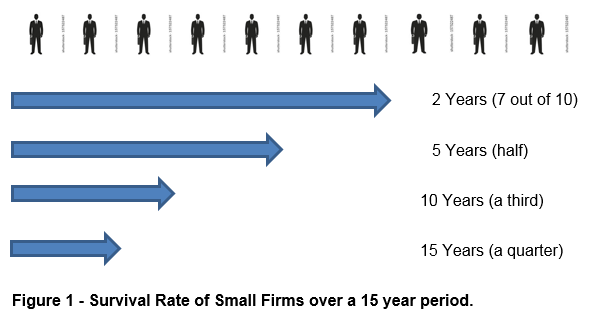 Yes, indeed SMEs are “too big to fail”.